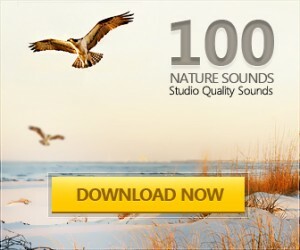 Nature Sounds Pack 1 from Koenig Media, LLC is a world class royalty free nature sound effects pack created specifically for Koenig Media, LLC. This entry was tagged natural sound effects, nature, nature sounds, nature sounds for movies, nature sounds for tv, nature sounds for video, nature sounds in stereo, nature sounds royalty free, relaxing sounds, royalty free, royalty free nature sounds, sounds of nature by admin. Bookmark the permalink.